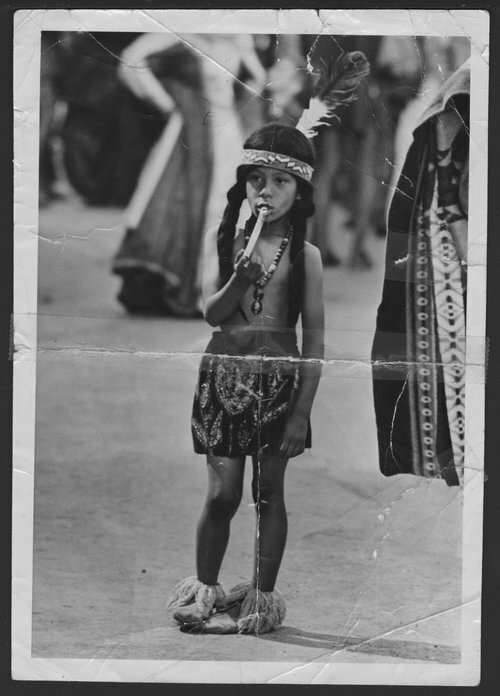 A photograph showing John Delci dressed as an Indian Scout. He was a member of the Boy Scouts that participated in the Kansas Centennial. The breechcloth was made by the Pottawatomie for use in the Centennial.